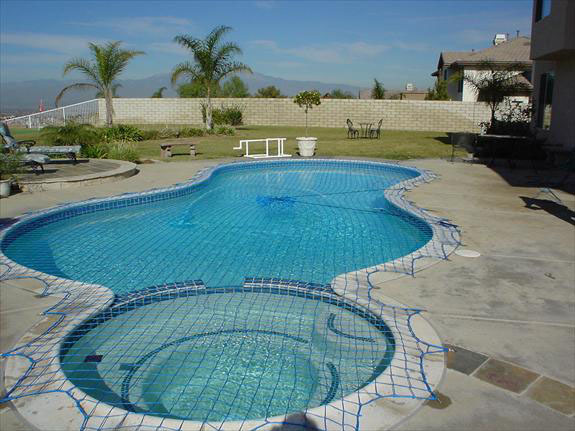 In this section, I will have photos and descriptions of in ground pool covers and safety barriers. 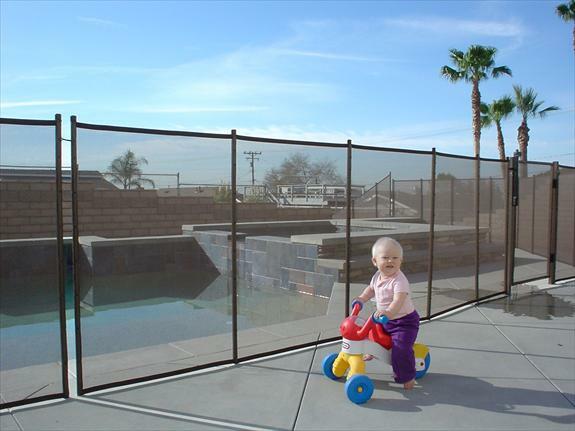 A safety fence has a mesh with holes too small for children to put their feet or hands into to climb. They come with a swinging, locking gate section for easy entry....the gate automatically shuts itself. These barriers can easily be removed and replaced in minutes. 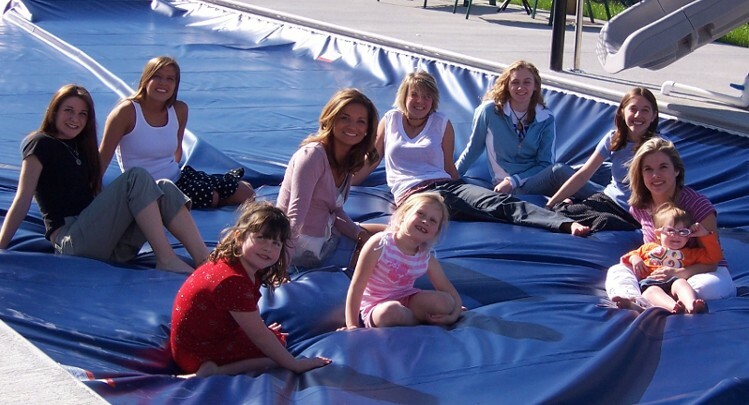 A safety cover can support a child's weight above the water. They come in two basic types - one with a reel system with guidance tracks, and a mesh or net covering with straps or hooks attached to the deck or surrounding deck area. The reel type is the first link, the strap or hook type is at bottom of page.